Soak the bread in water. Squeeze water out and set aside. In a large bowl,add all the kabab ingredients and mix well. Coat them with bread crumbs and put them into refrigerator for 30 minutes or as you wish. Heat enough oil in a big karahi for deep frying the kabab. Dip kabab into the beaten egg, and then drop into the hot oil. Using fingers Sprinkle some egg over the kabab that’s make jail. Cook them into medium flame. 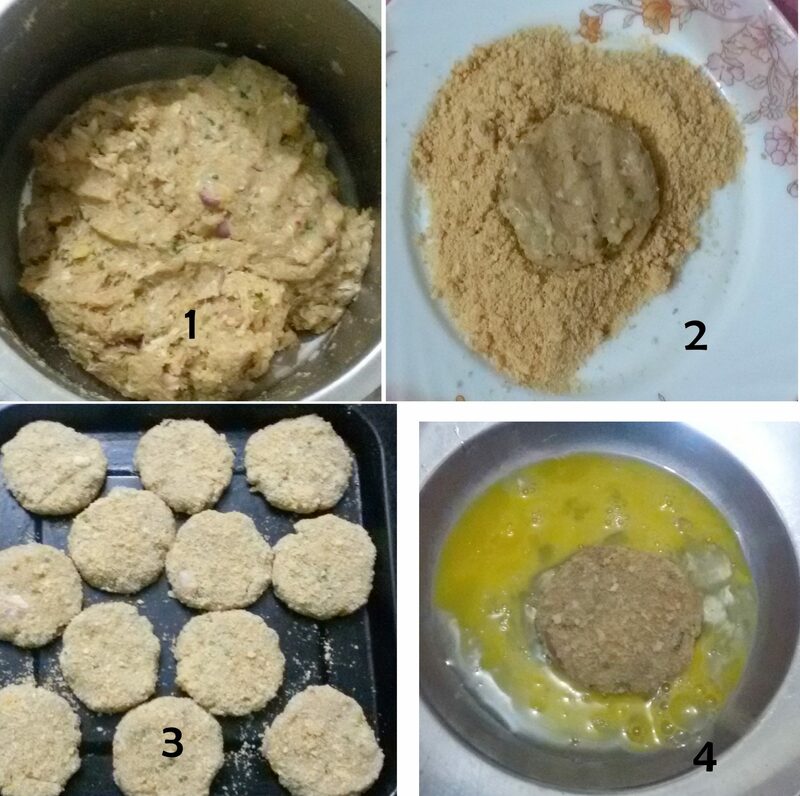 When one side of kabab becomes golden brown flip them and sprinkle some more egg over the kabab.cook till both sides of the kabab becomes brown. Serve with biriyani,naan or paratha.